Create with Gwen: Third card from Stamp-a-stack! 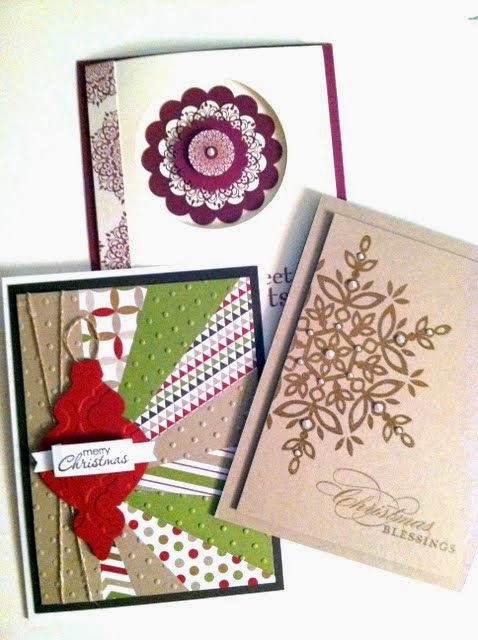 Our third card from November Stamp-a-stack was case-ed from a Brandy Cox's card. Brandy did hers as a "10 cards in 20 minutes" Took us a bit longer! We do chat and fool around alot while creating. 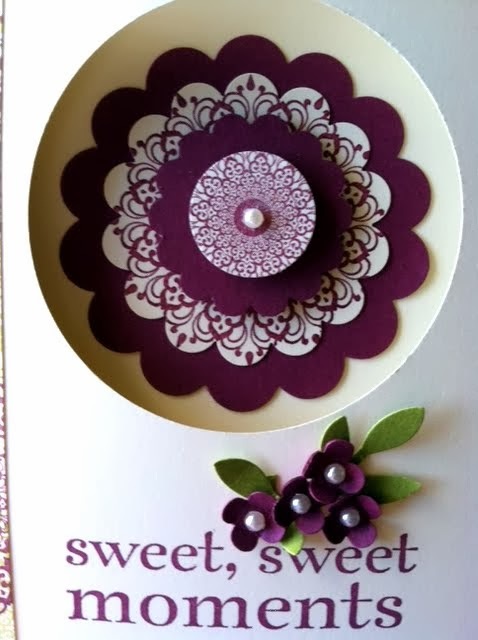 Fun punching out the circle center and scalloped embellishment design! We had punched paper flying everywhere! Picture below is what happens when you "wiggle" a sentiment stamp and it makes a inked line where you don't want it to be. 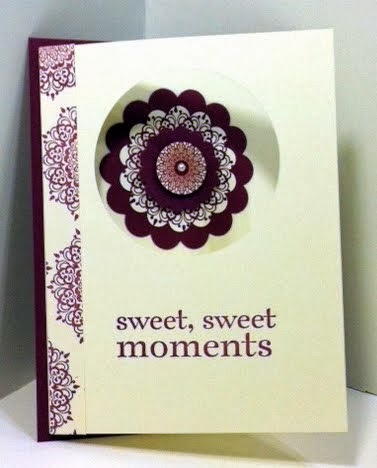 Just cover it up with tiny flowers, leaves and of course, pearls! No mistakes in stampin! Here are all three designs. 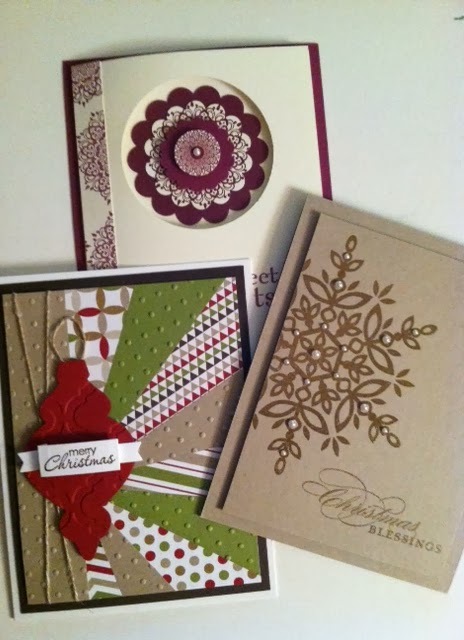 We made 4 of each to have a nice bundle of hand stamped cards!